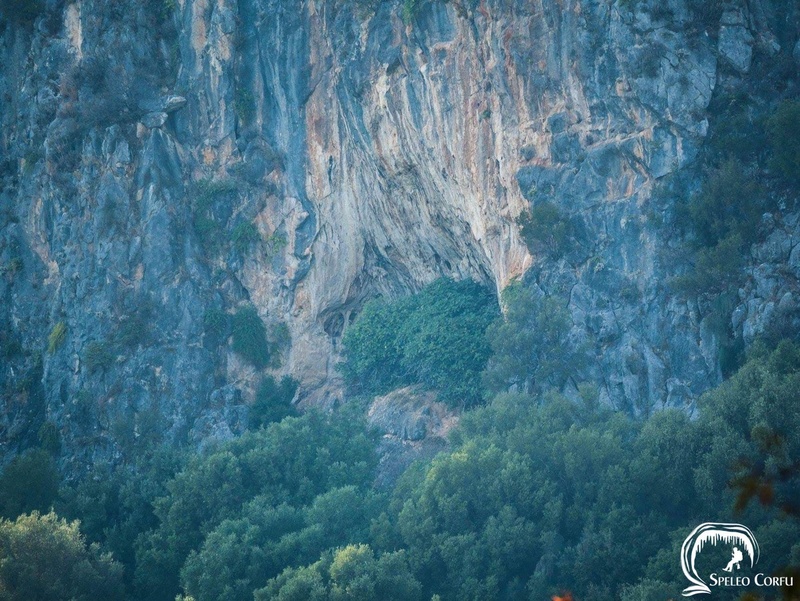 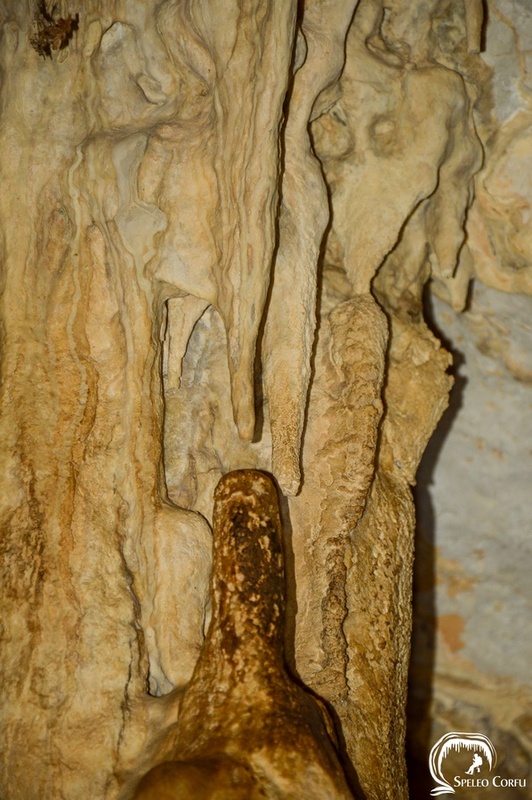 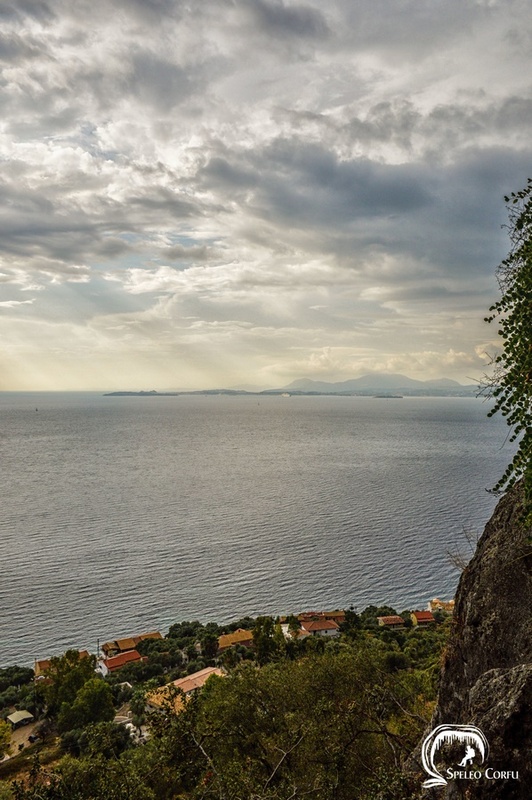 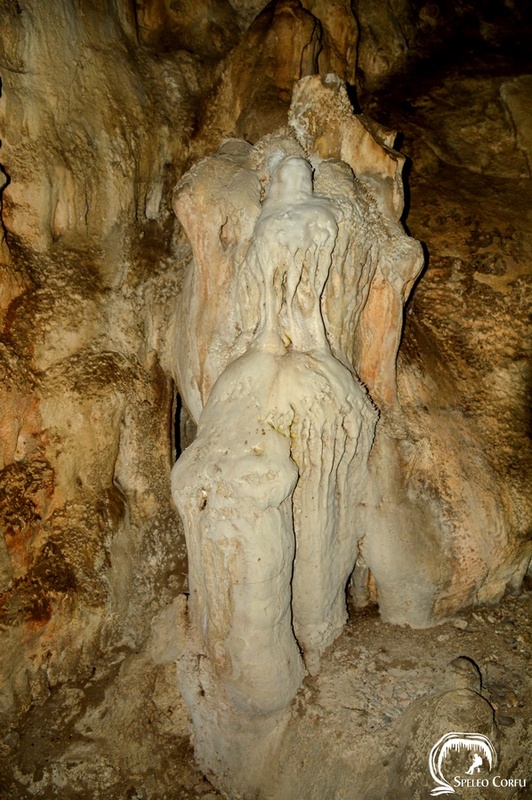 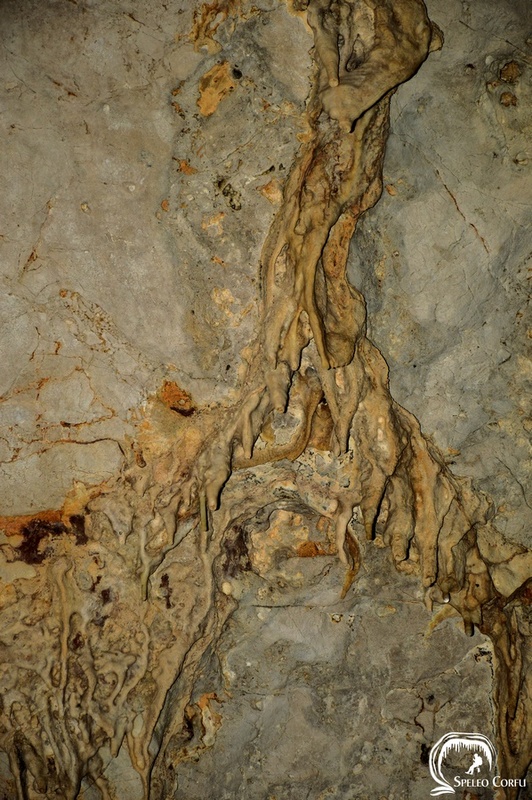 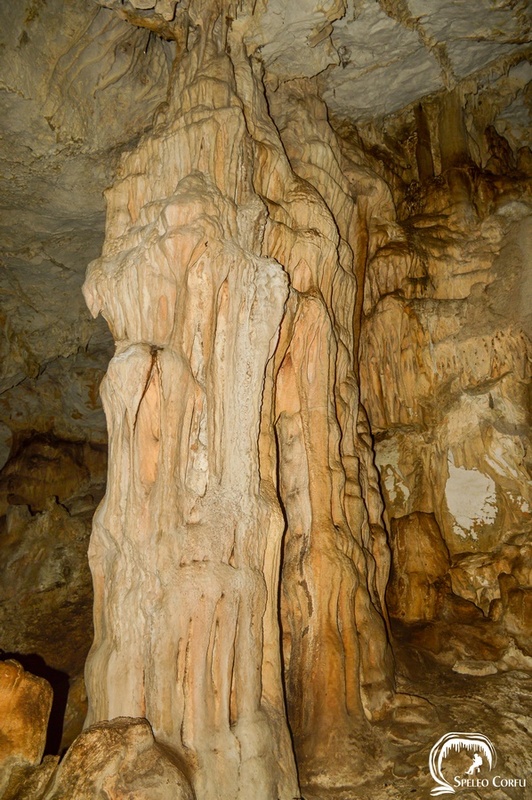 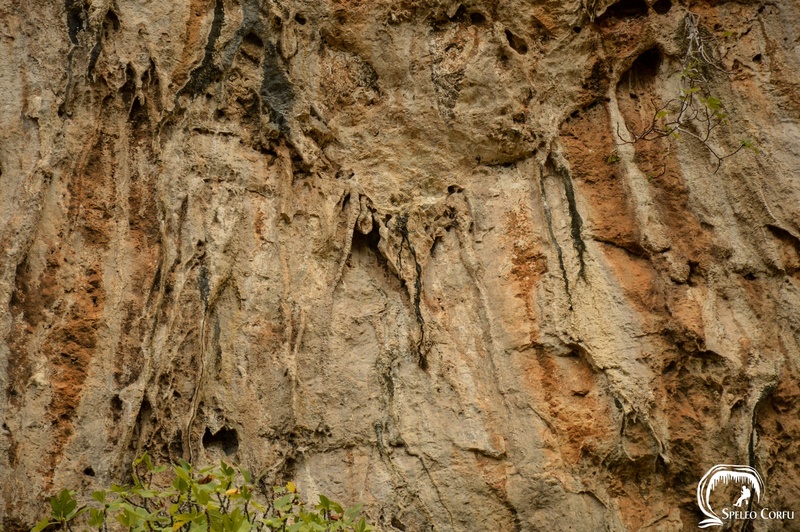 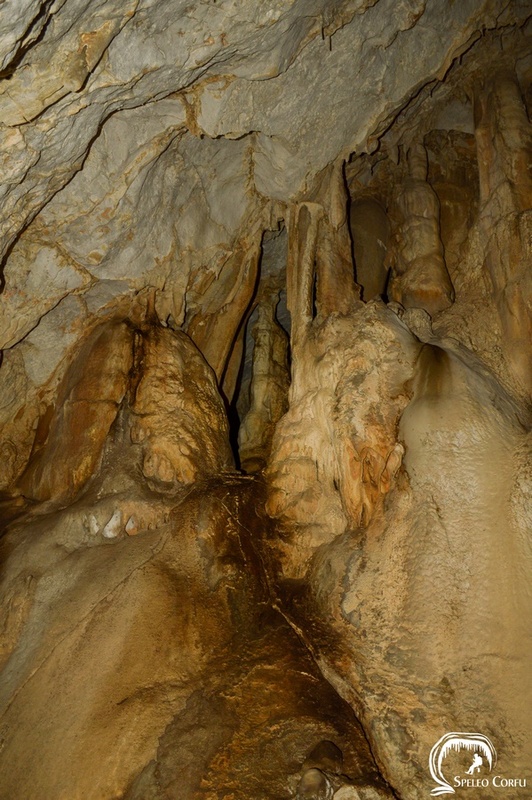 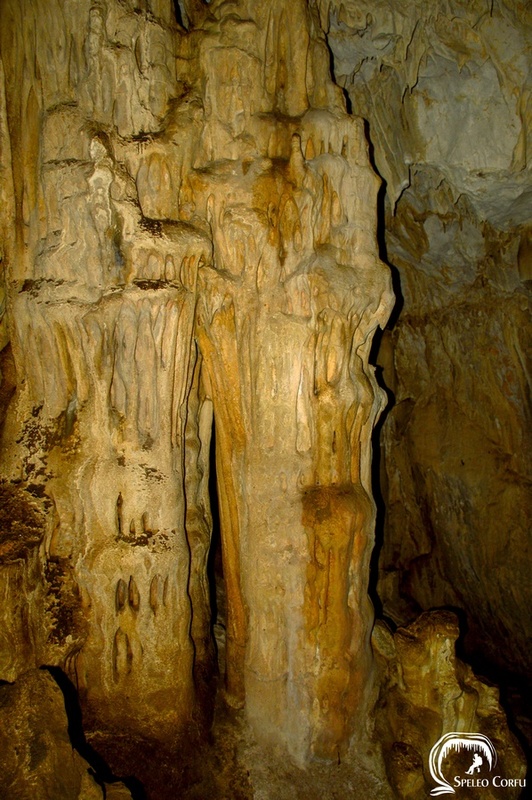 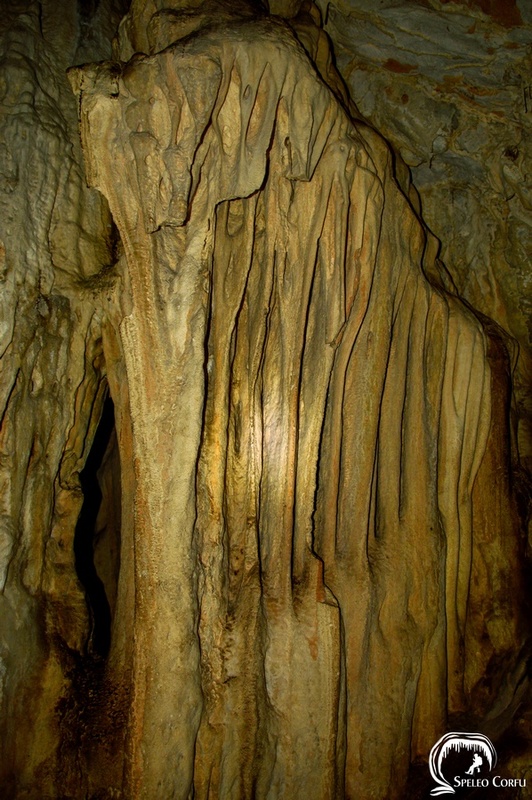 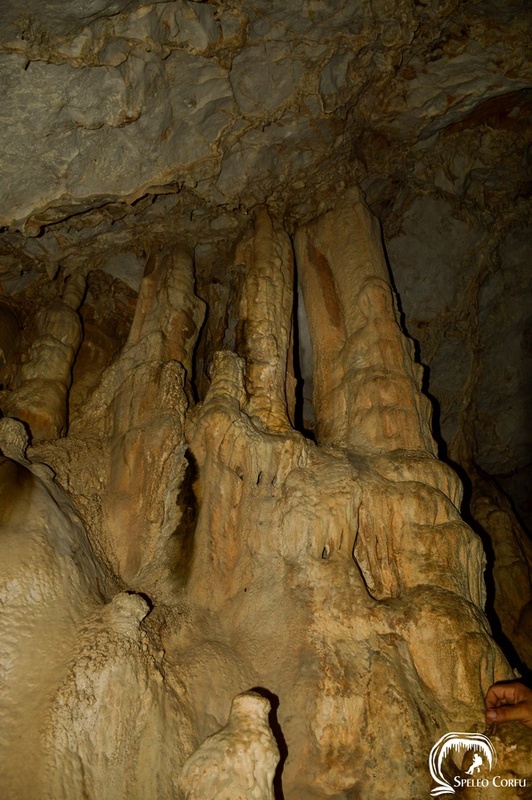 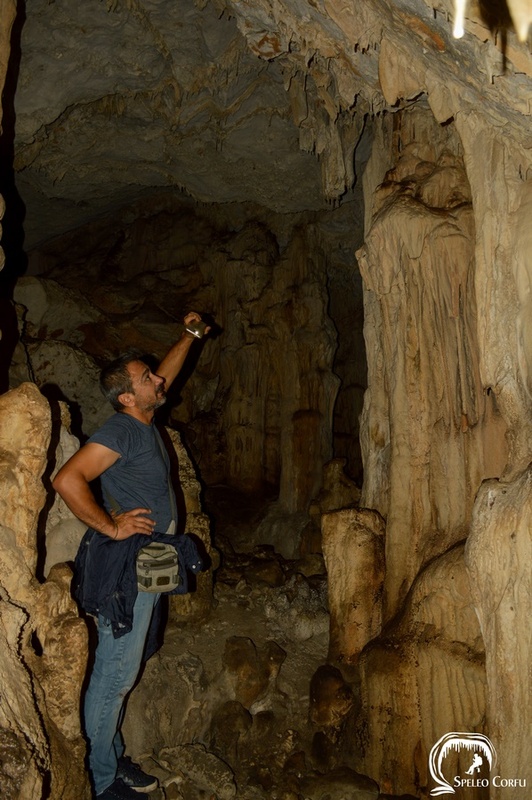 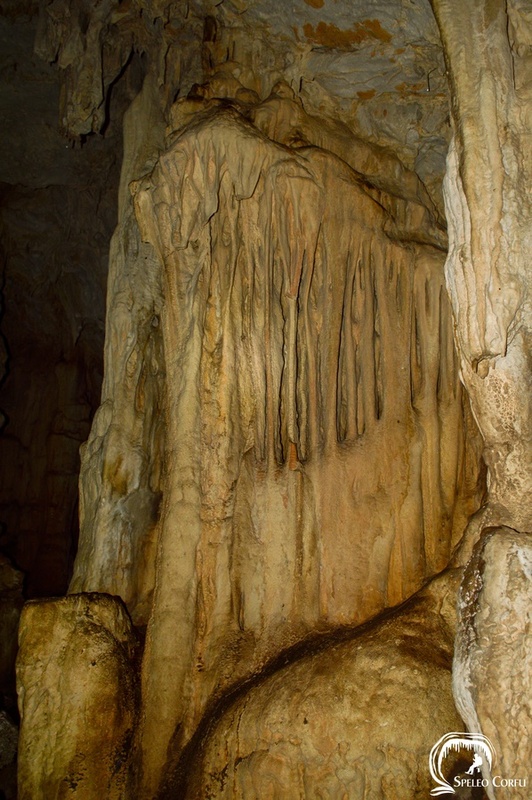 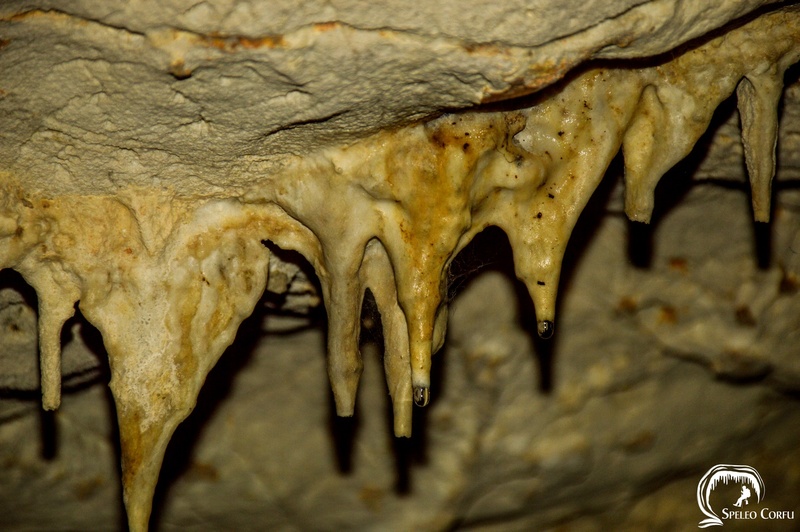 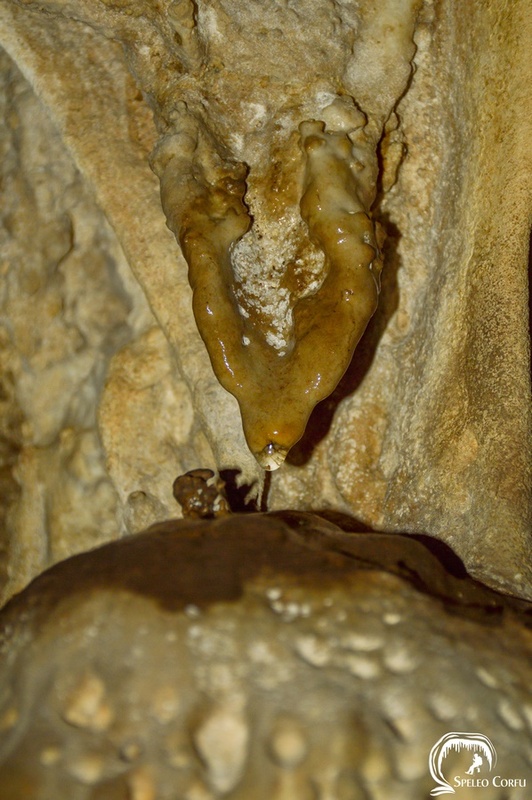 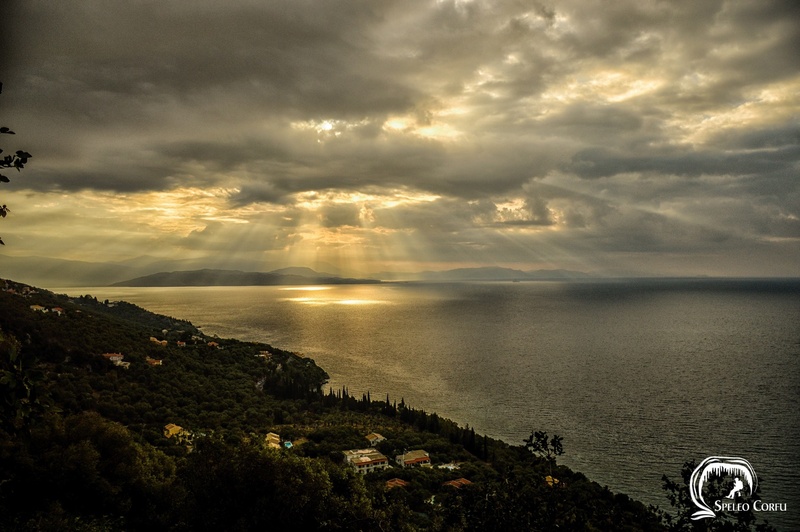 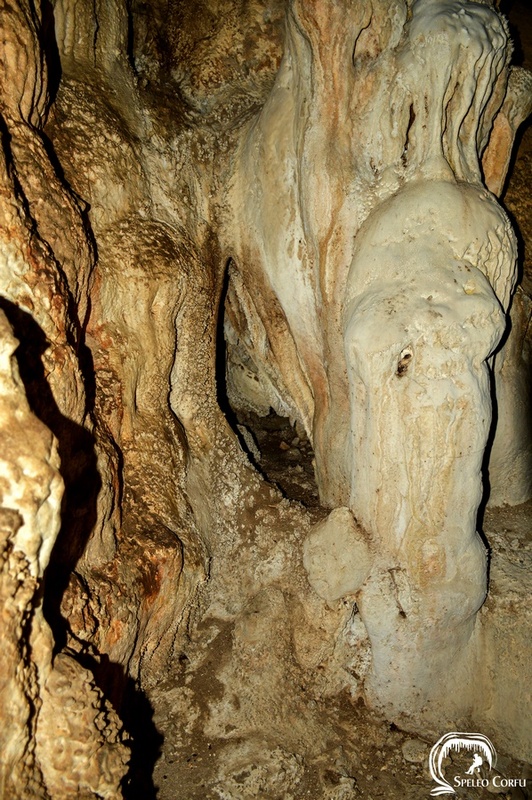 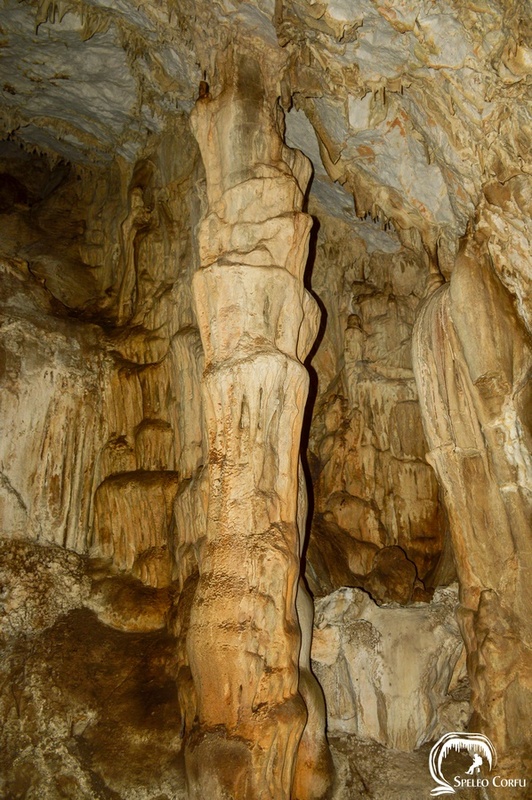 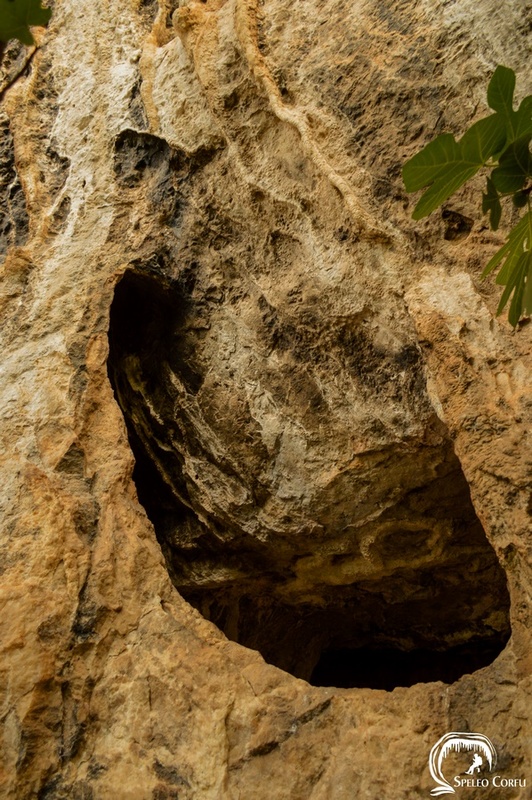 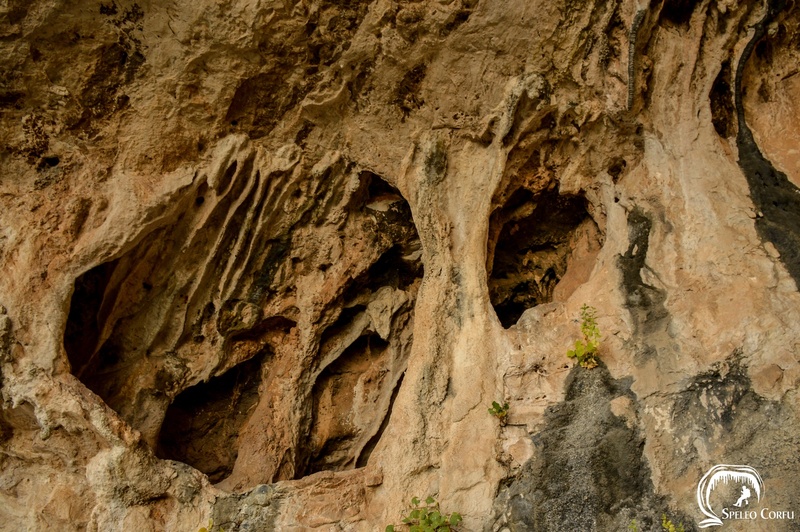 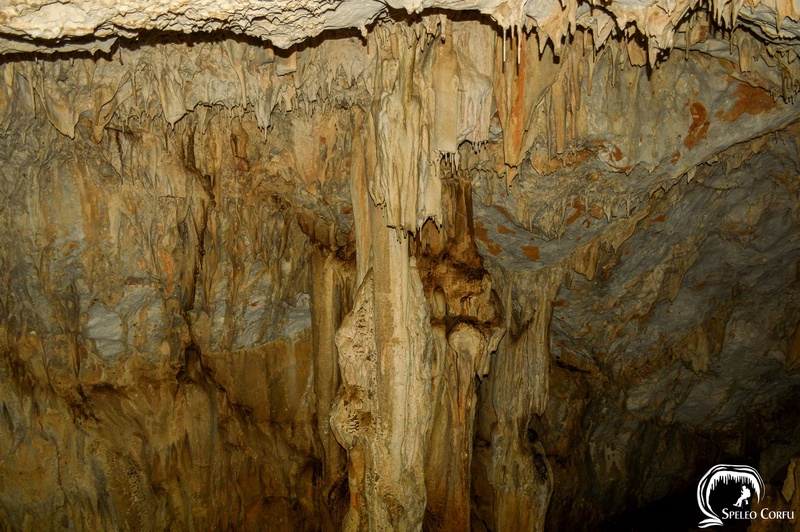 Katsouris cave - Website about caves on the island Corfu. 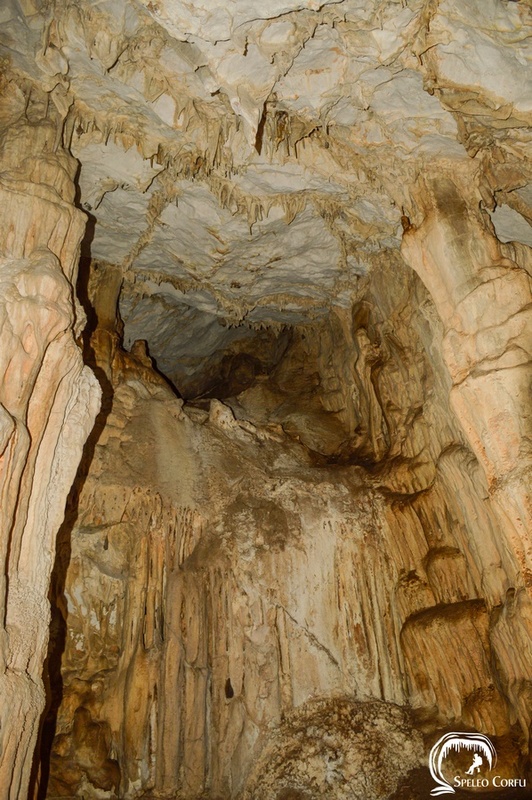 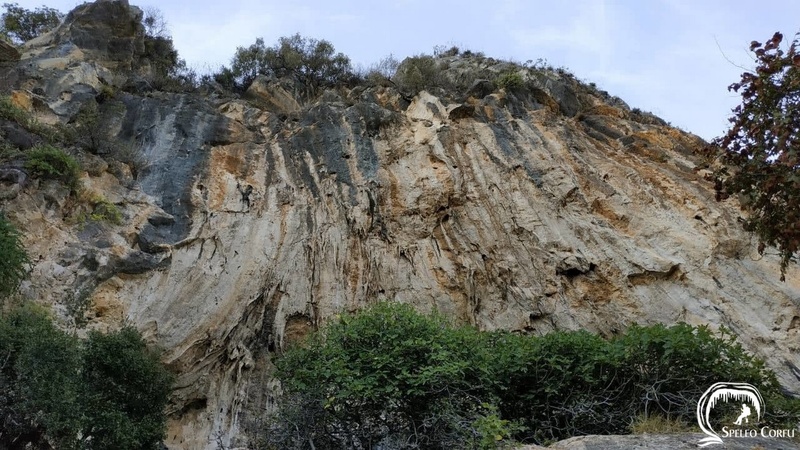 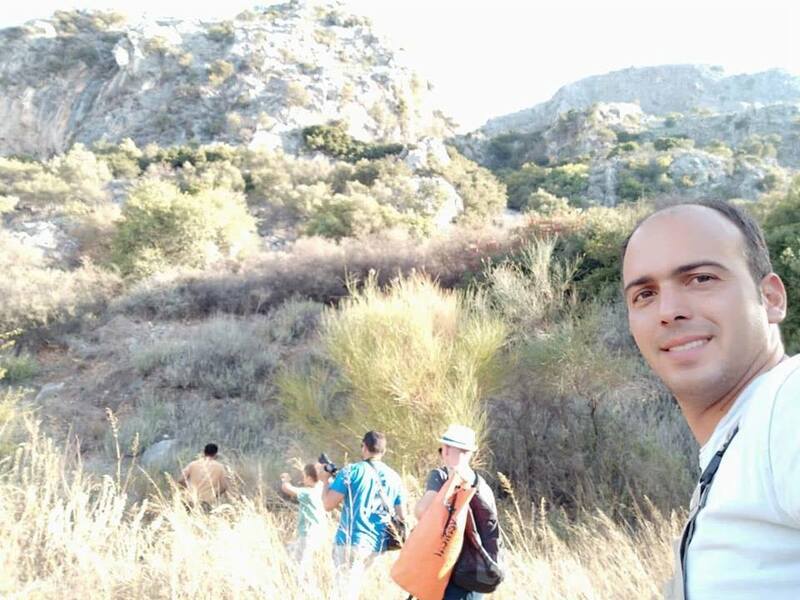 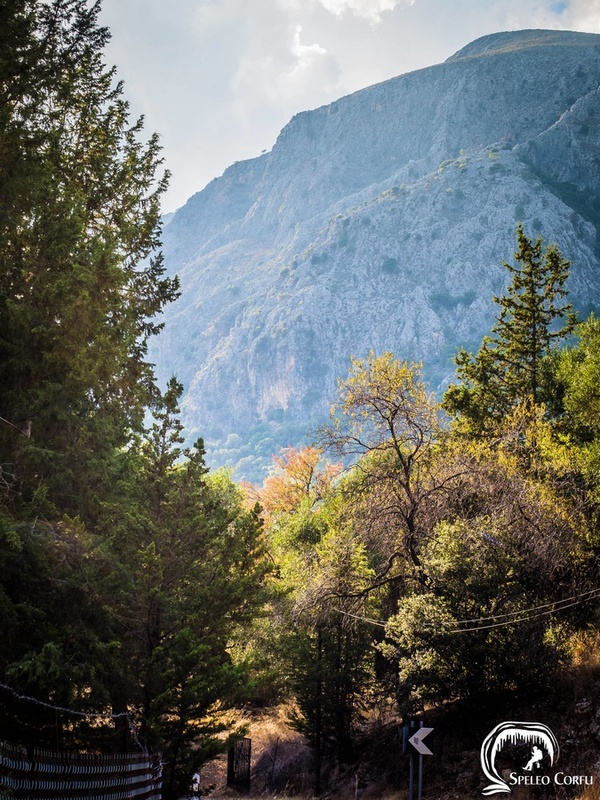 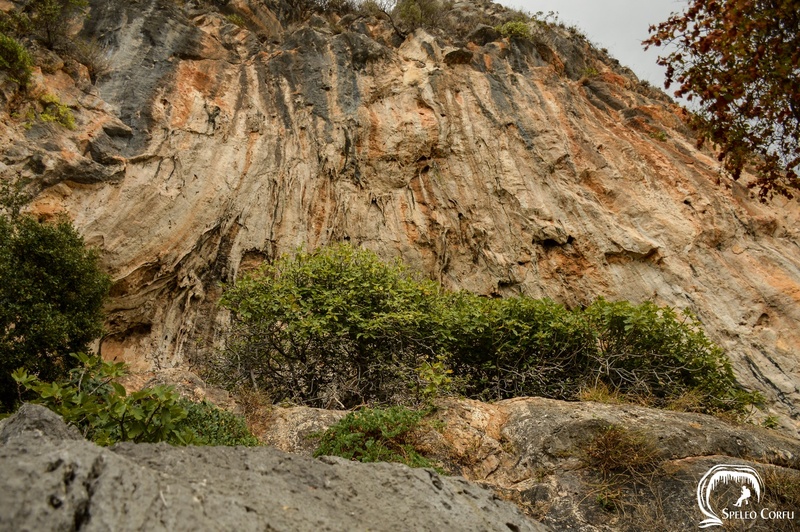 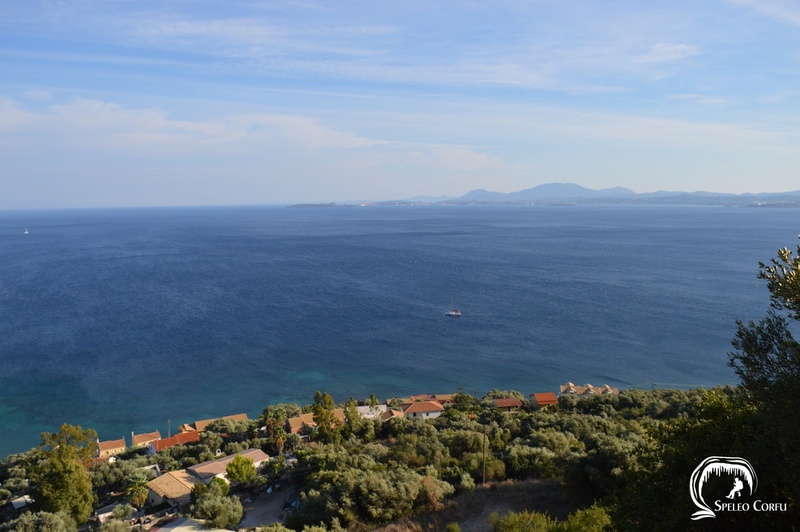 Between Barbati and Nisaki at Glyfa on the lower slopes of Mount Pantokrator Katsouris cave is located. 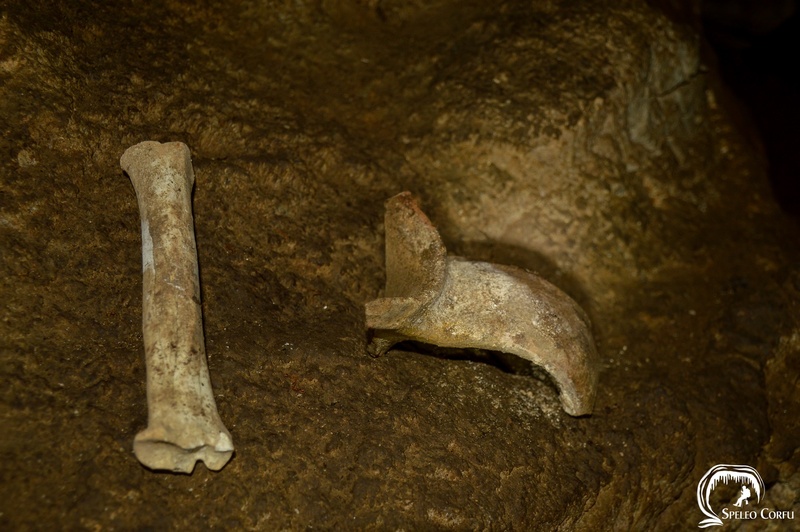 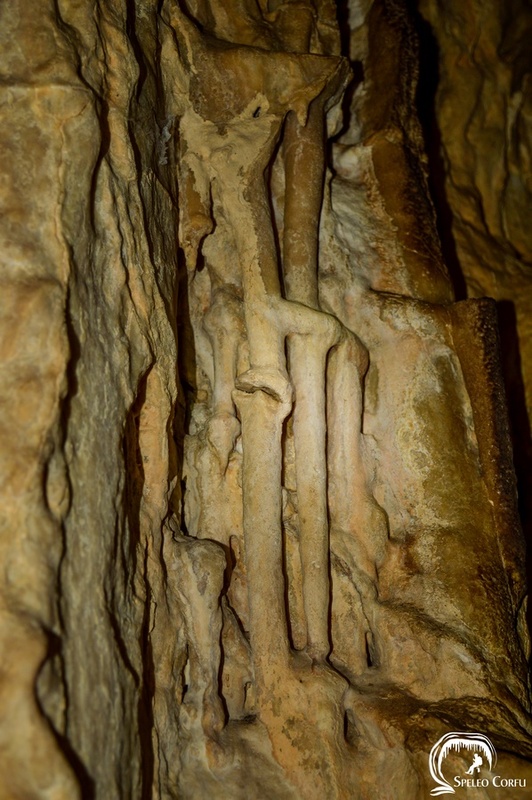 In the past human bones were found in the cave. 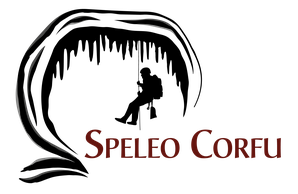 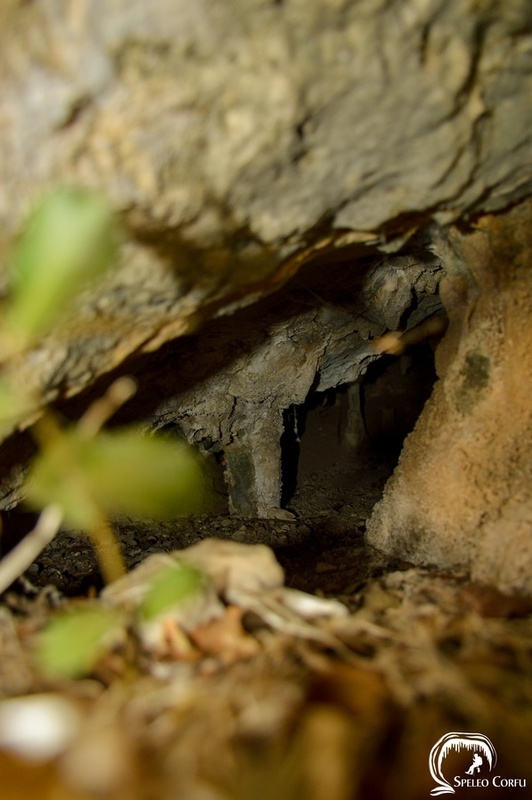 It is said that pirates killed all who were hiding inside the cave. 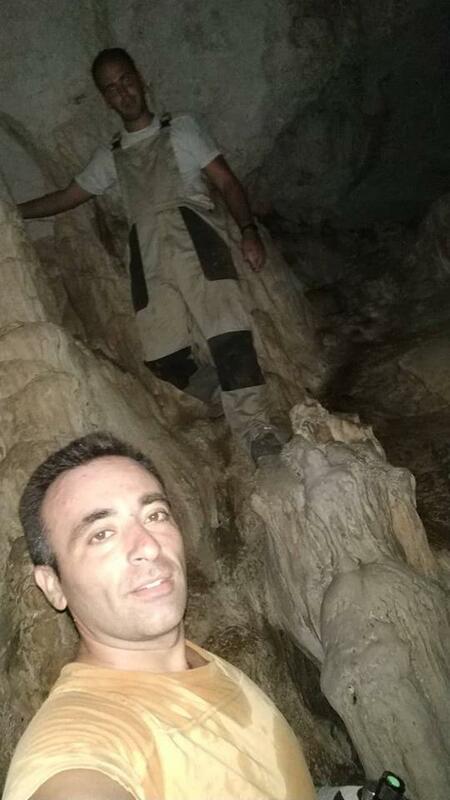 It is not easy to visit the cave. 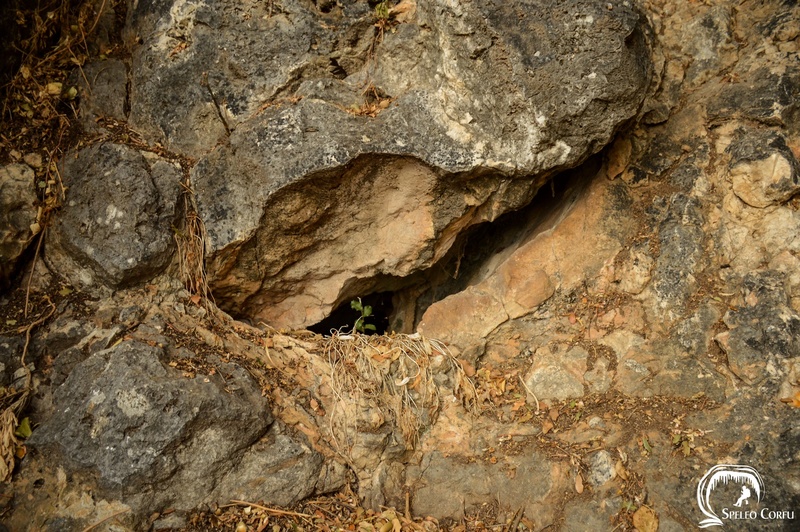 Access is only possible after a very difficult hike along a private road. 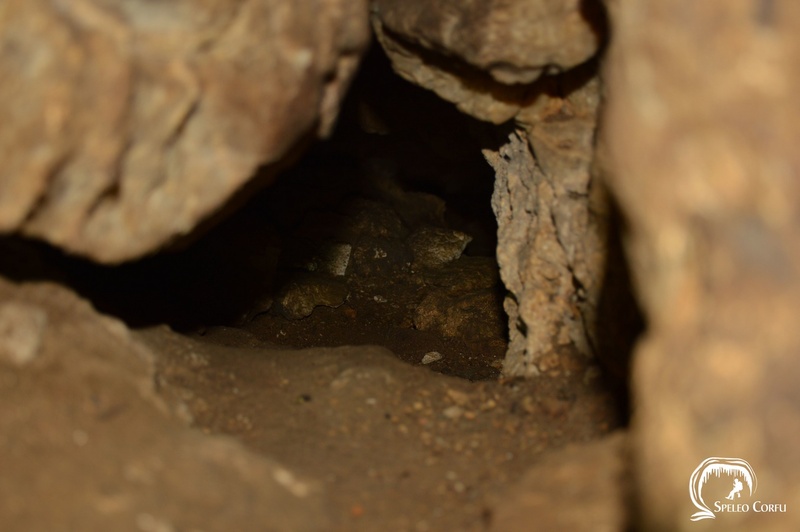 In this rocky area Nose Horned Vipers have often been seen. 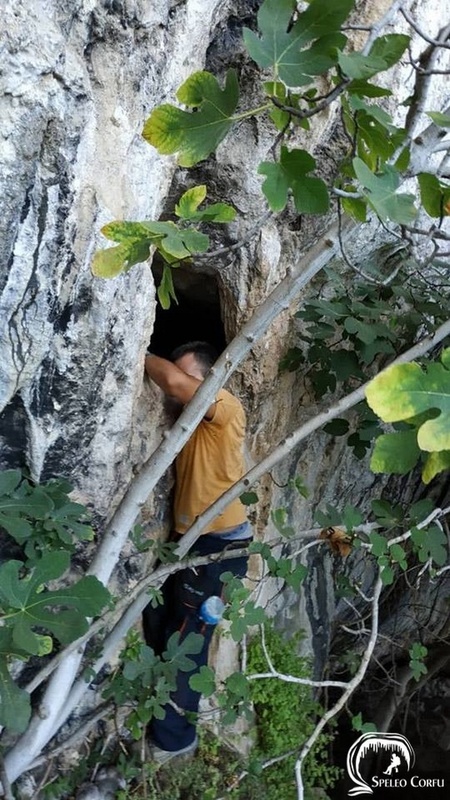 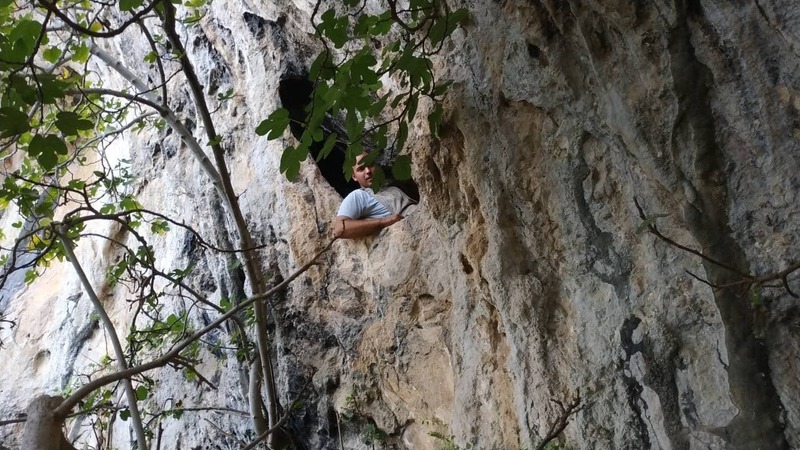 To get into the cave climbing on height is necessary. 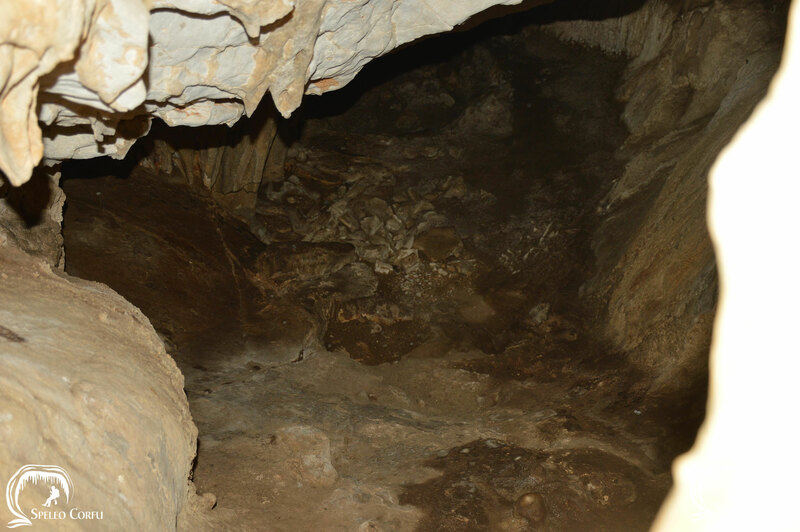 The size of the entrance to the cave is about 70 by 90 centimetres. 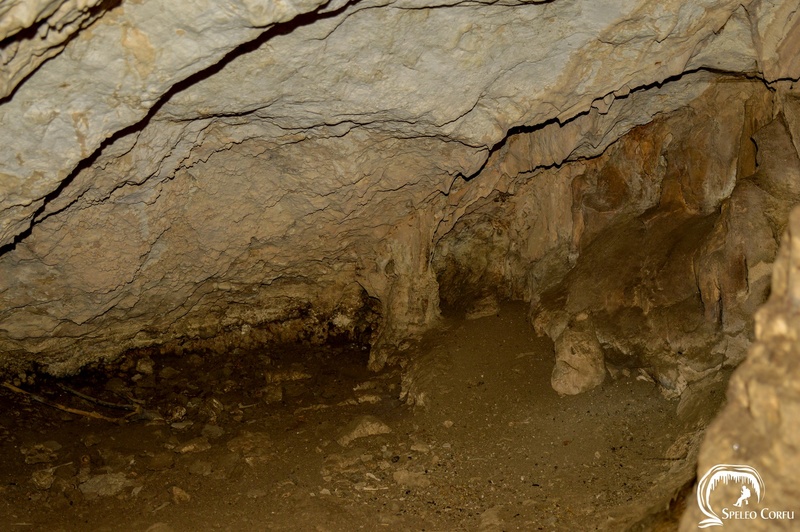 Behind the entrance to the cave there is a hall with a small passage. 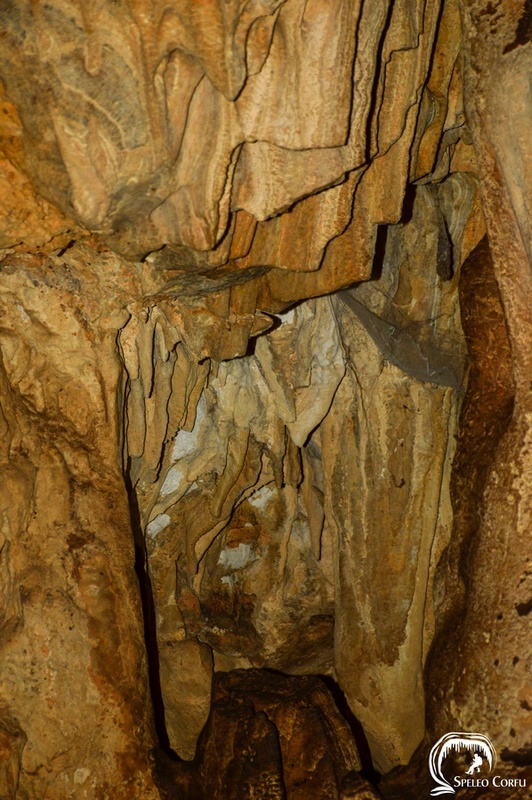 In the centre of the passage it is only 50 centimetres high. 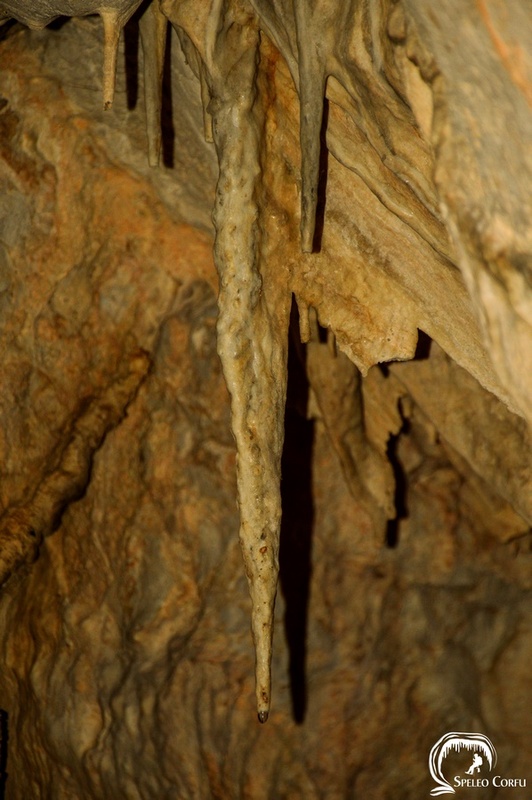 On the left side it is more easy to pass under the low ceiling. 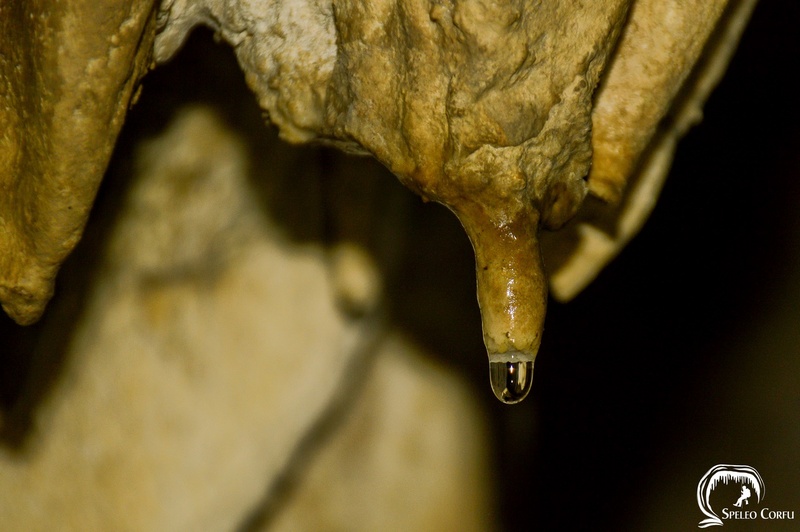 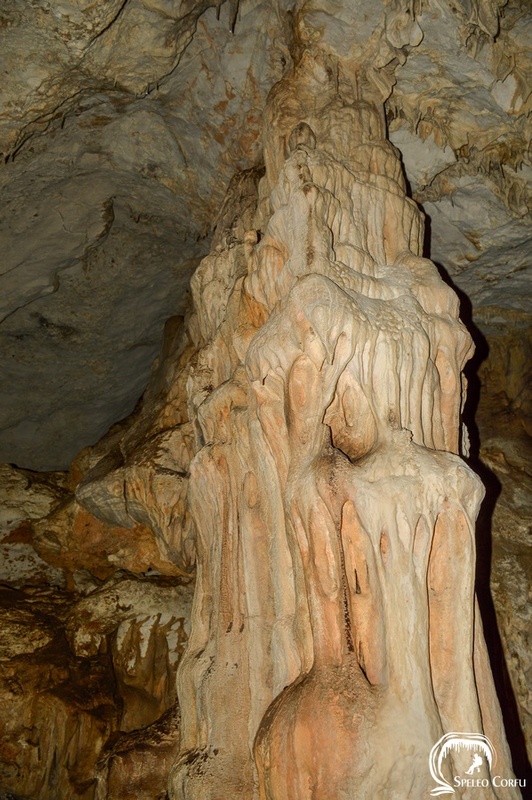 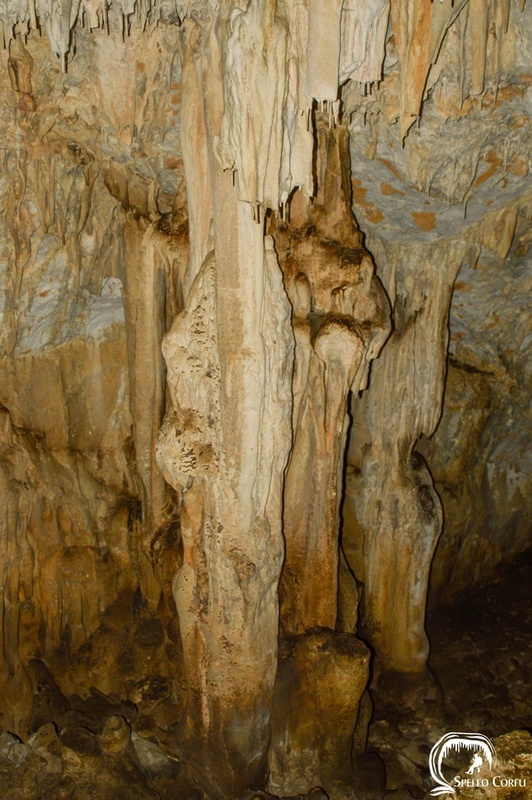 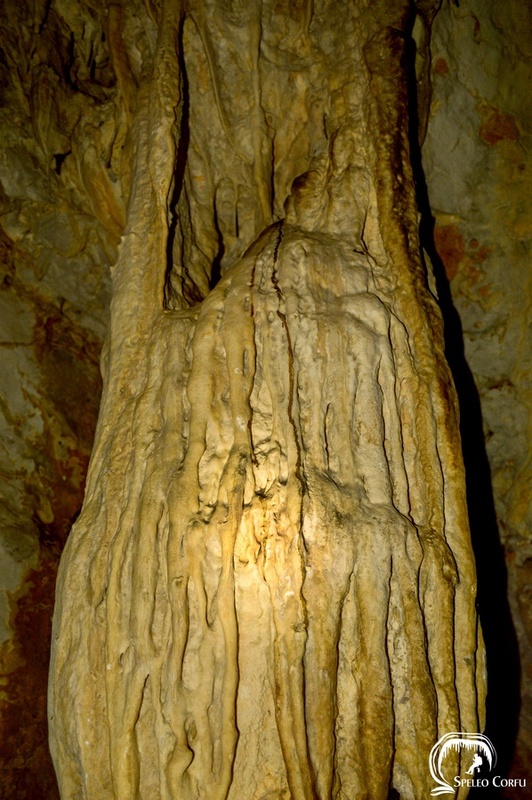 After belly crawling for 5 - 6 metres an impressive main room full of stalactites, stalagmites and columns emerges. 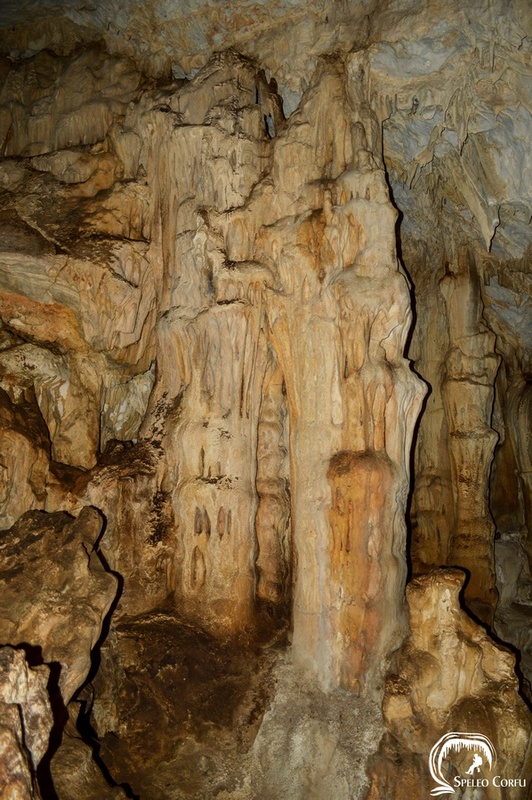 The main room is about 8 metres heigh and 12 metres long. 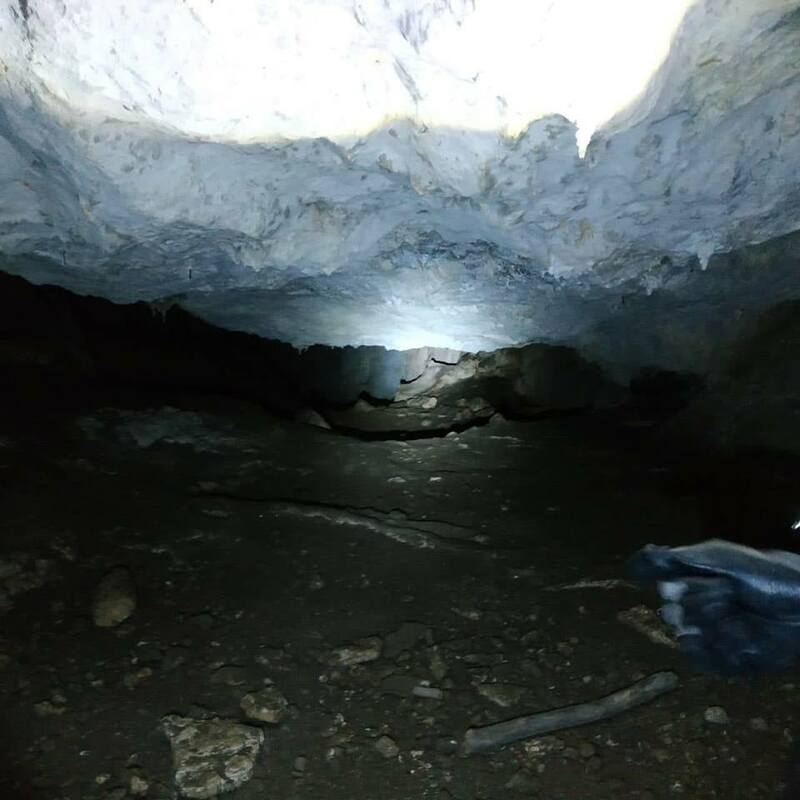 Inside the main room a huge rock collapsed. 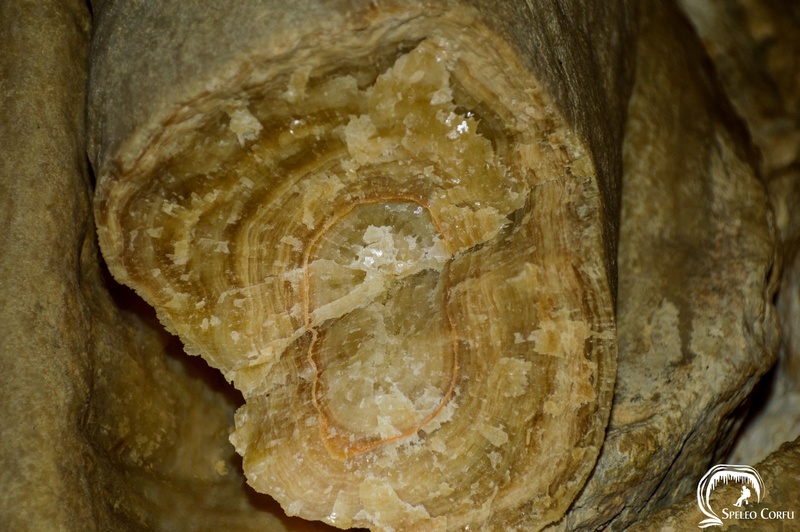 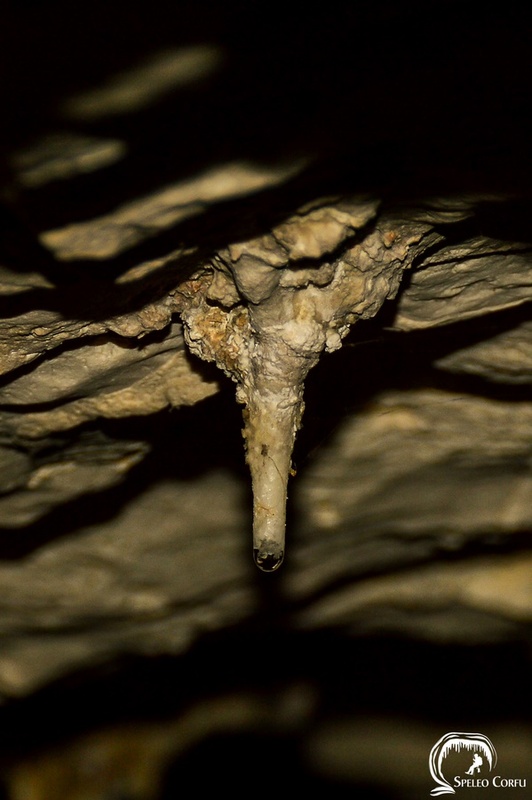 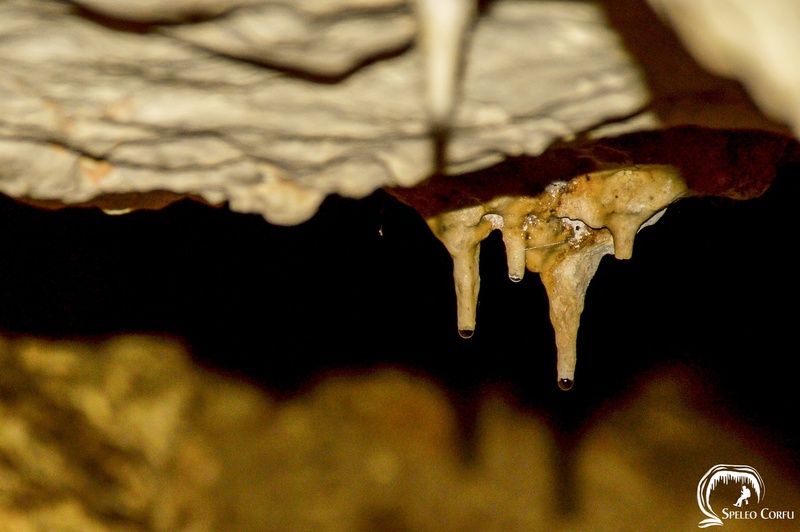 It seems the rock fell from the top because it is full of stalactites, and stalactites are hanging from the ceiling. 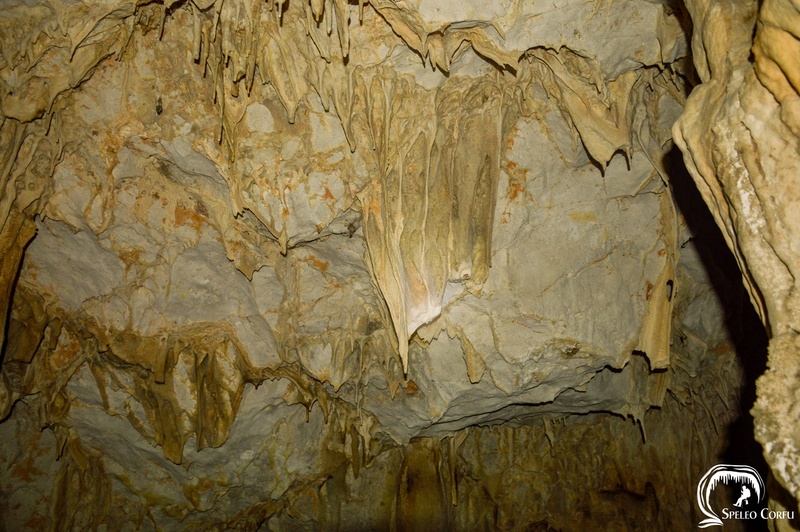 Behind the main room there are at least 2 openings. 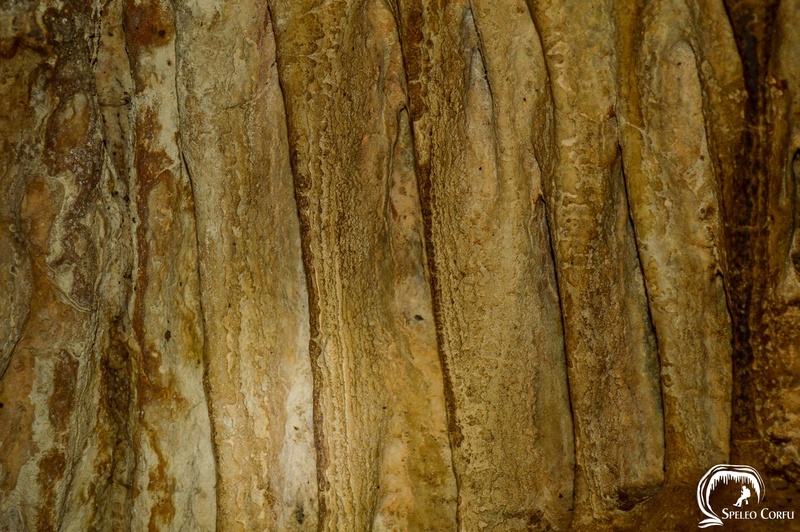 One opening leads to a small chamber 25 - 30 centimetres wide. 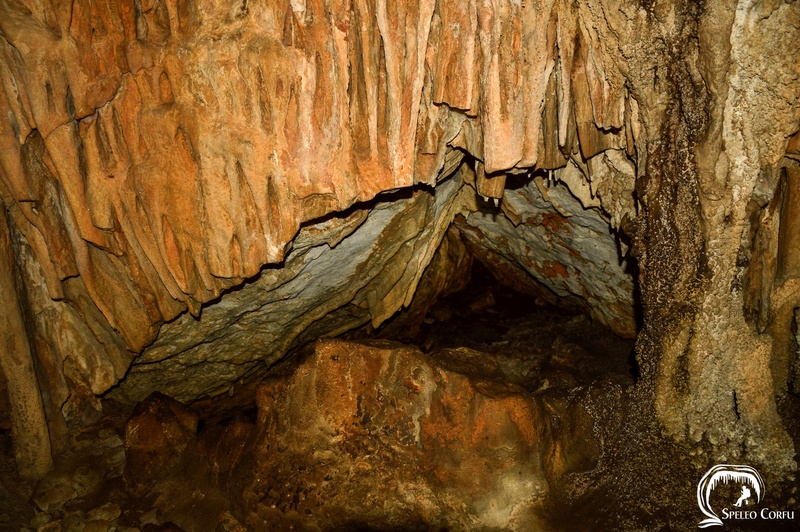 The chamber is high and seems to lead to another chamber. 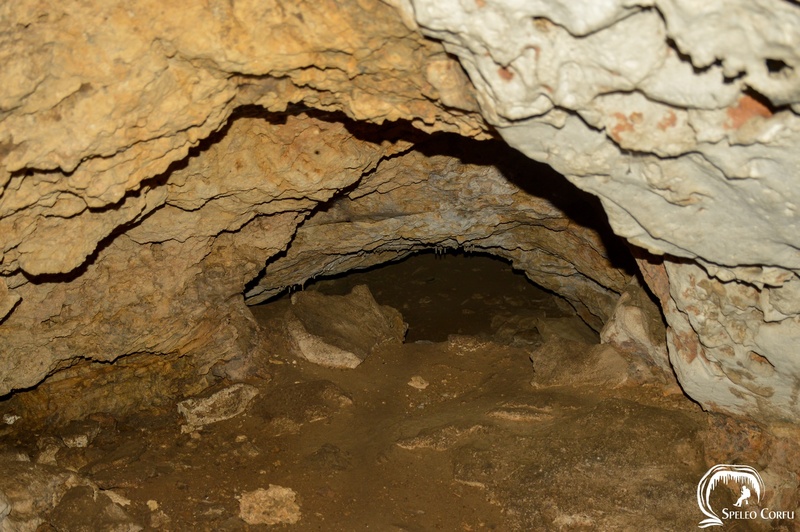 It is not clear whether the second opening is only a gap or a chamber. 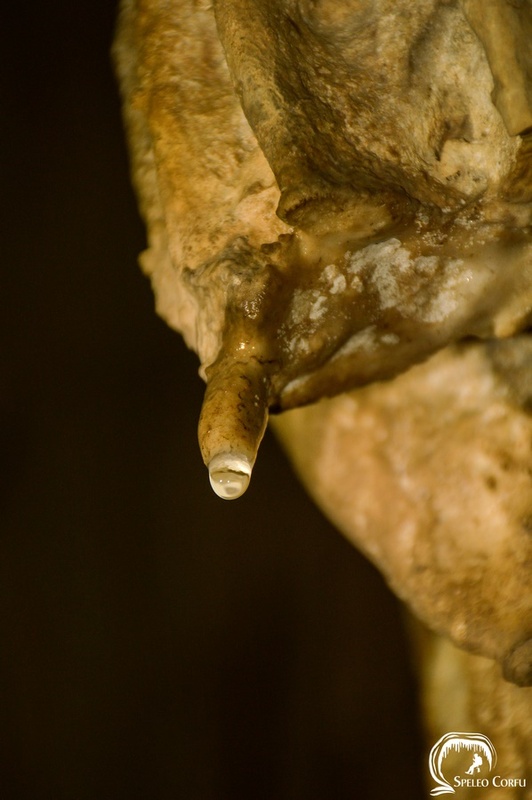 Further investigation with endoscopic camera is required. 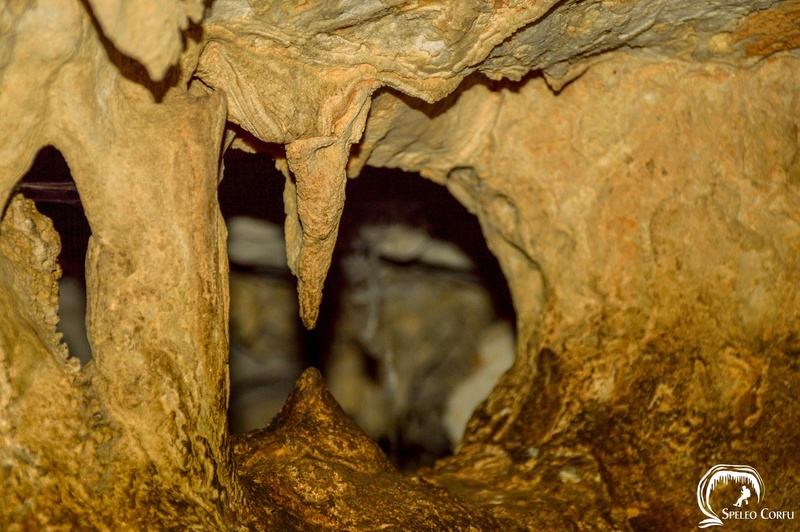 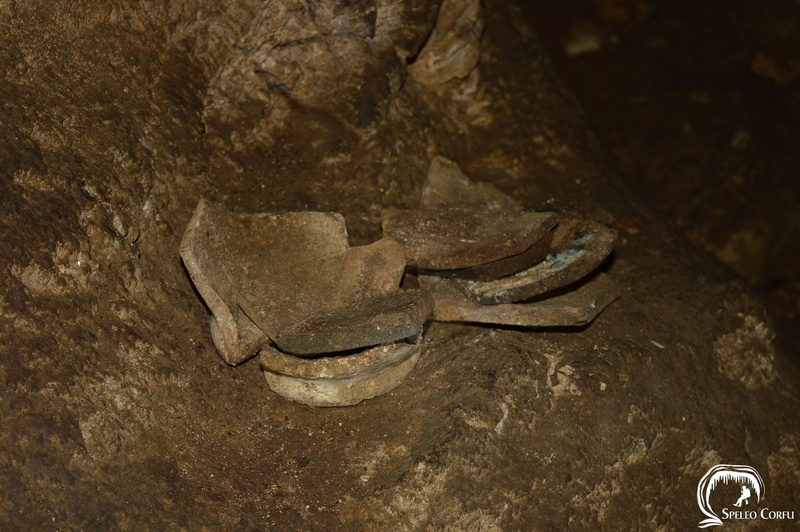 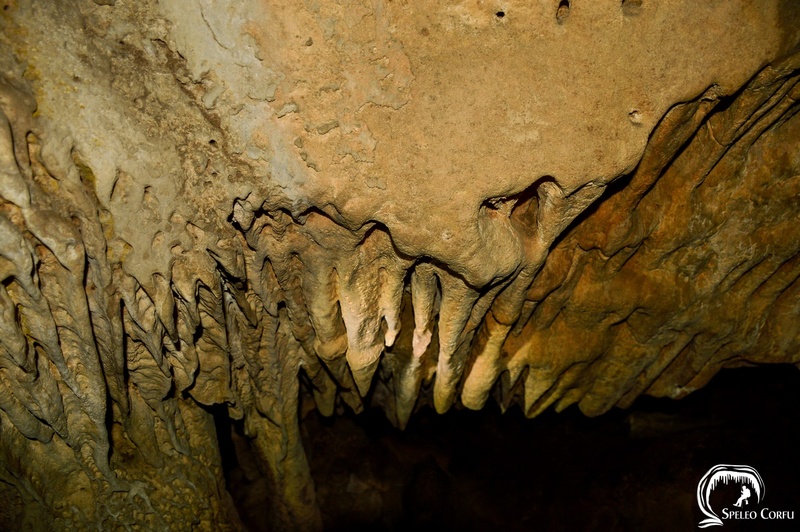 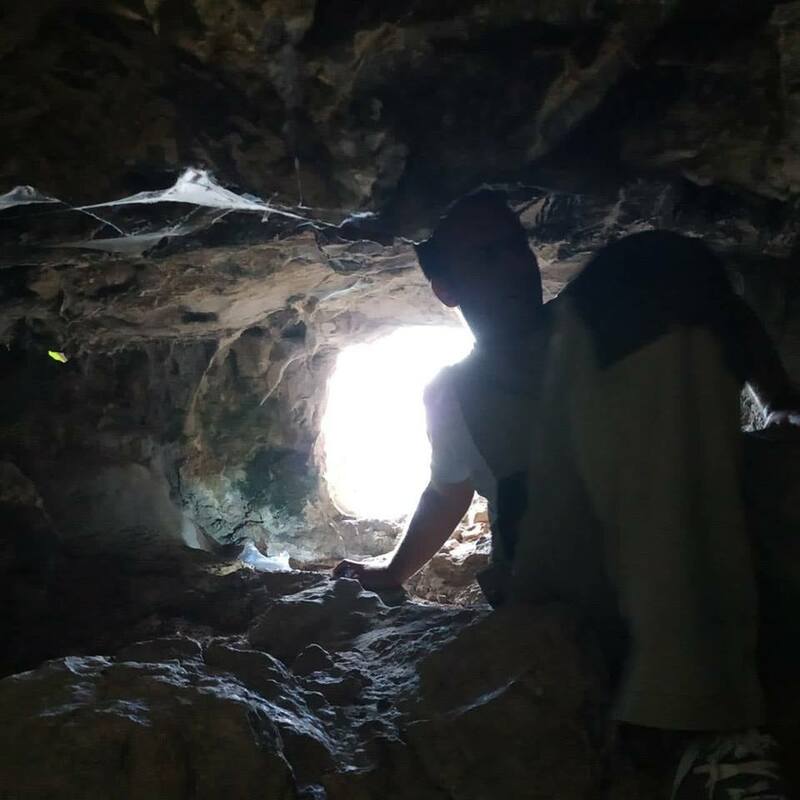 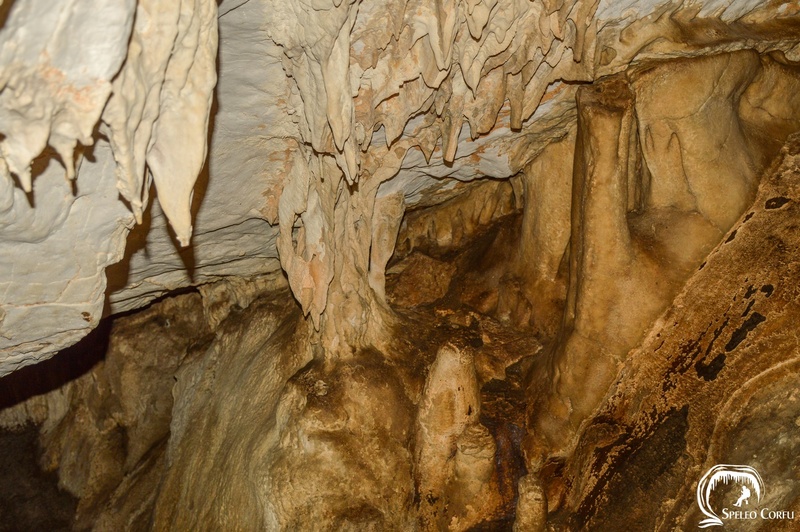 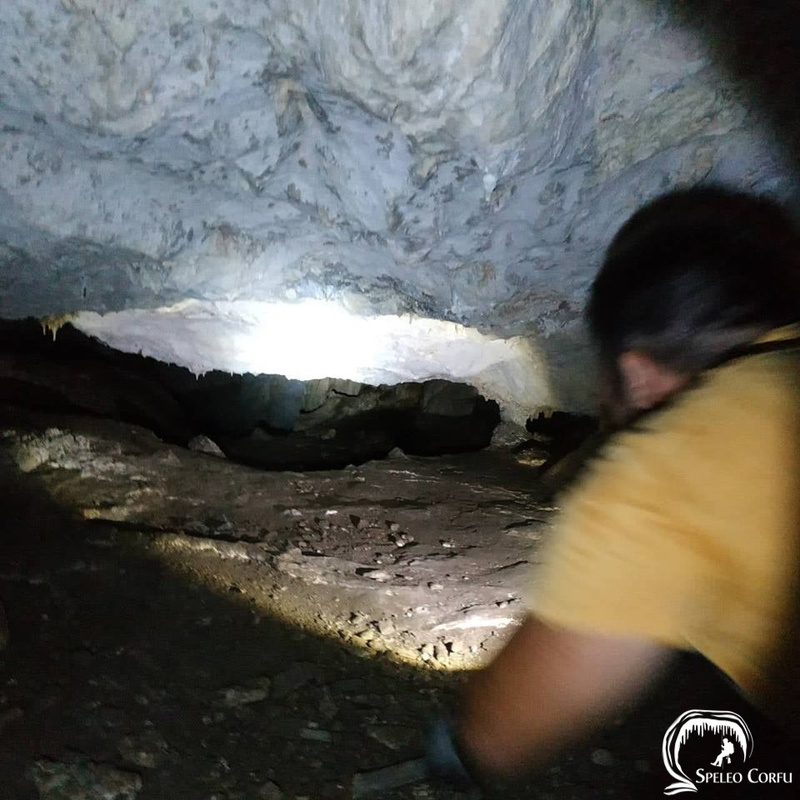 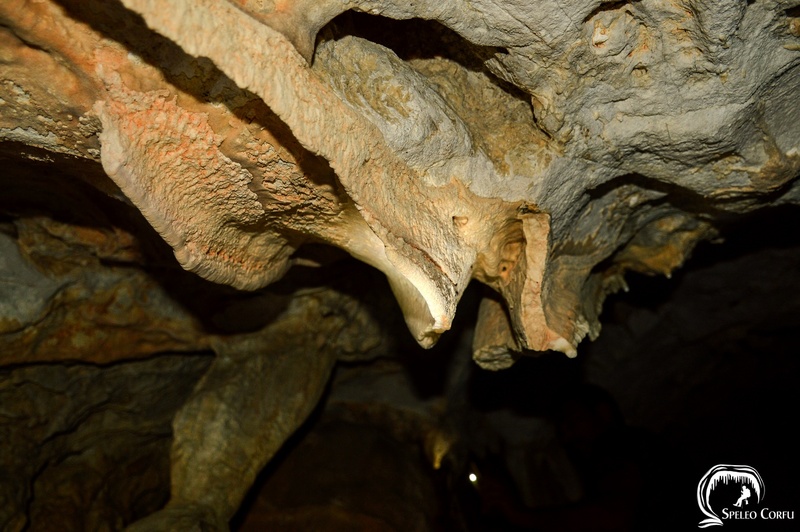 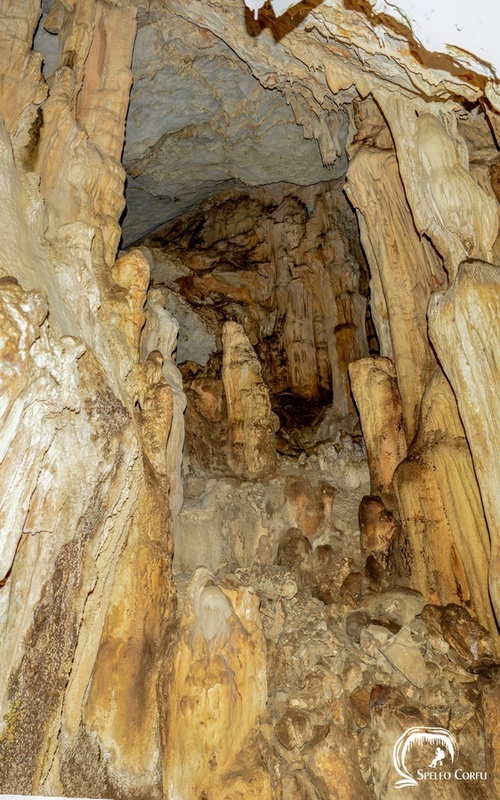 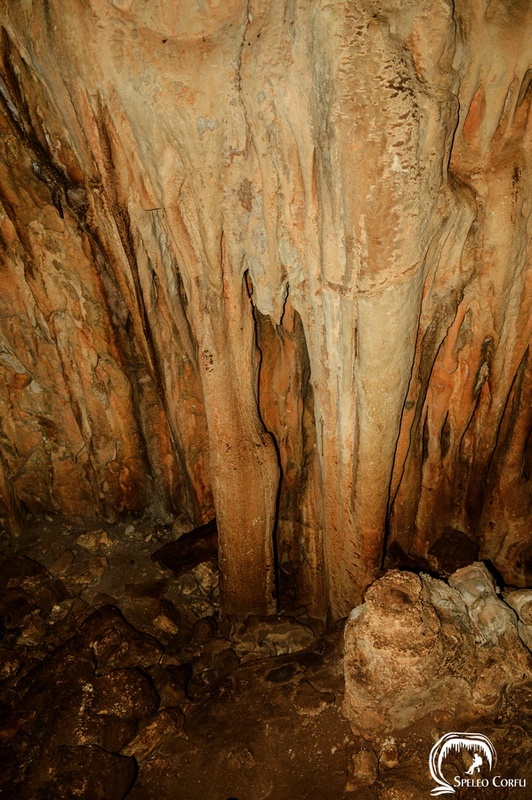 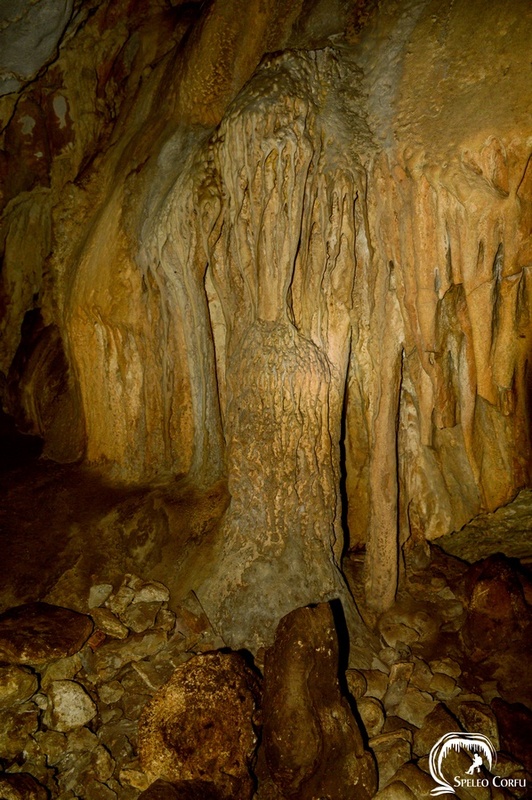 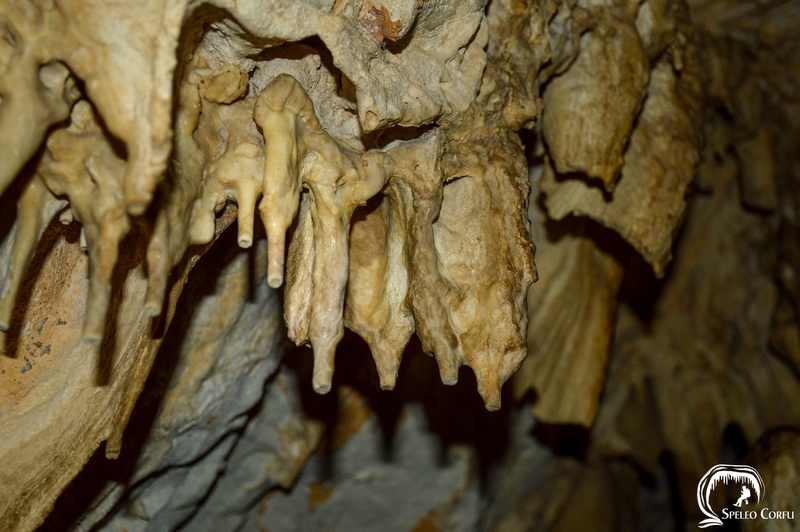 During a visit to the cave in September 2018 bats were seen, but during a visit to the cave in October 2018 none were there. 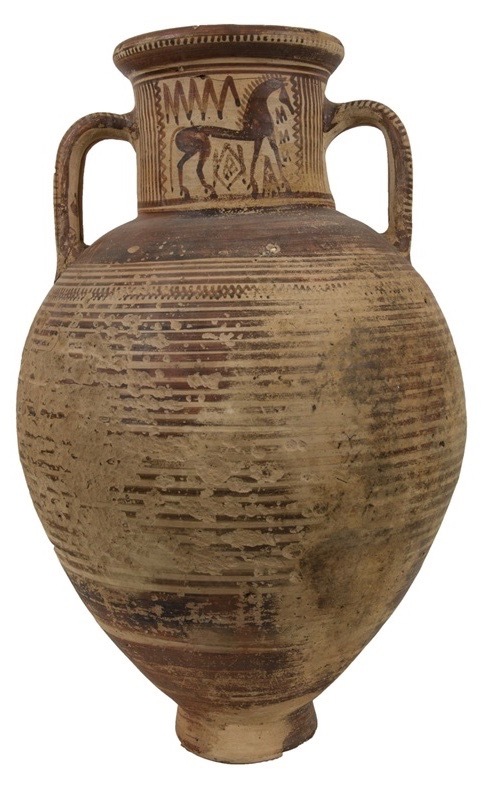 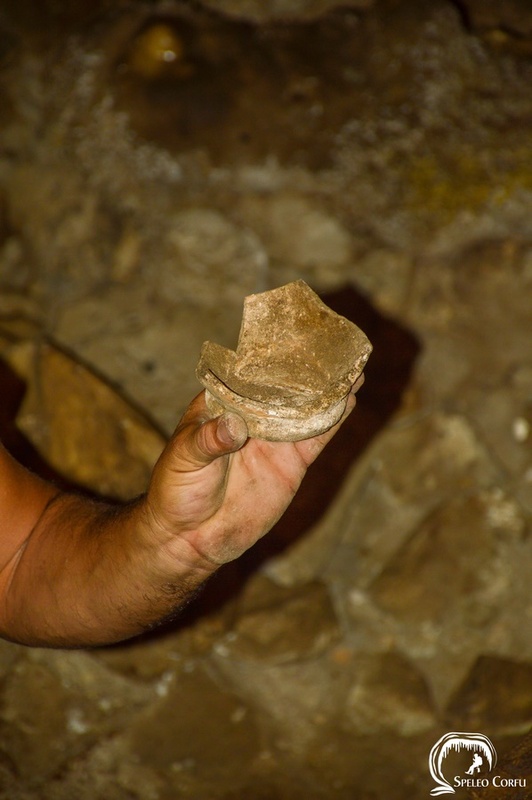 During a visit in October 2018 (almost certainly human) bones were found and parts of ceramic pottery (amphora), possibly of the Late Geometric period which started around 760 B.C.